Custom Prints-A Sample using Ava! I'm planning on making a wall featuring art by the girls, frames I bought and sayings I plan on designing, like this one below. I actually saw an art print with this saying!!! 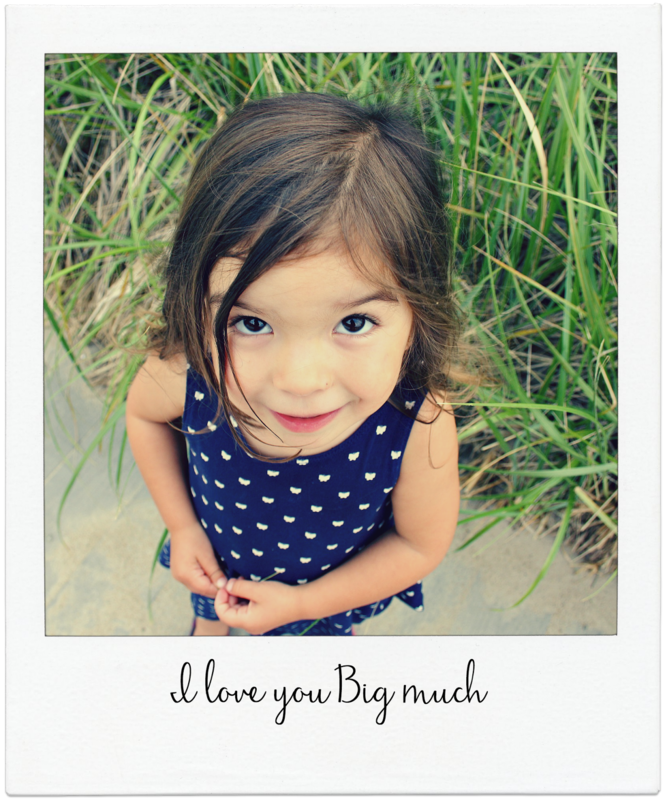 Some other little body tells their mama "I love you big much" and I never want to forget those words, and now, I won't. This is an 8X10 print and I will be sure to add a large matting so the whole thing has a bigger impact. I love the idea of framing their words as I did here. The art work takes me about 25 minutes, then it's another 15 minutes to print & cut. For 17$ (plus 3.50$ shipping) I can design and send you a print in any colour in any font of whatever saying you'd like. It's personal and it's pretty. How good is that? This above would be killer in a 20X28 Ikea Ribba frame. Oh my gosh. I love this idea. Photo + saying. Email me if you'd like something like this done. 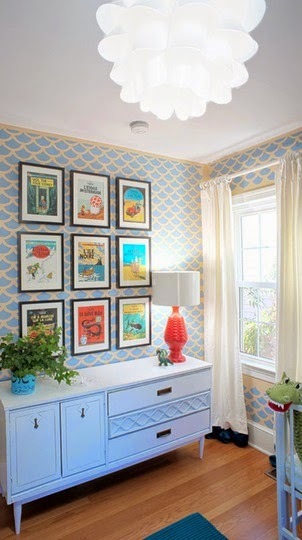 These would look nice in a family room, but also in the kids' rooms. 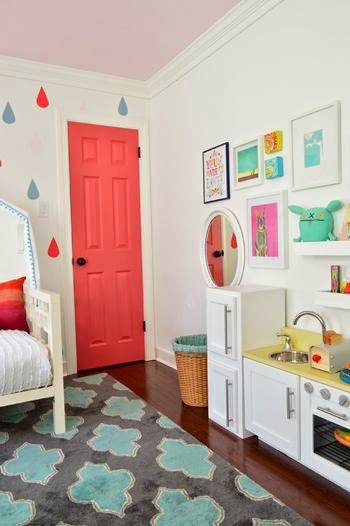 Here are some inspiring wall decor to get your own creative juices flowing. A series of beach shots anyone? Love that "nightstand". I wish I could do side by side beds for Ava & Brook, but I don't think they'd ever get to sleep.